I have always been a homebody. There’s nothing that quite beats the feeling of coming home from a long day, changing into comfy clothes, and relaxing in my own little space. Home is the place where I can fully be myself and let myself unwind. Over the years, I’ve learned that comfort is one of those things I truly value in life. I love to feel like I’m at home wherever I am, whether that’s in a hotel or spending the night at a friend’s house. I also don’t take for granted the fact that I have the means and ability to feel comfortable when others may not. For some, home might not always feel like a positive place. Others may not even know what home really feels like. However, I think we all crave a place that make us feel safe and comforted. That’s why it’s important to make the space around you as peaceful and calm as possible, even if it’s just your desk or a corner of the room. After all, if your space feels overwhelming, you’ll probably have a hard time relaxing. Once you know what things make you feel more comfortable, it becomes a lot easier to feel comfortable wherever you are. 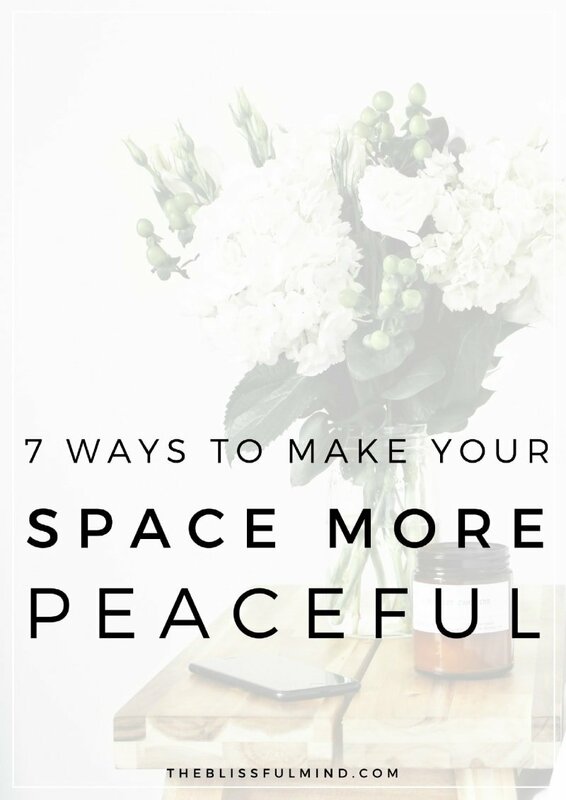 In this post, I’m sharing some tips and ideas for making the space around you as peaceful and zen as possible! I like to say that clutter is the enemy of calm, so start out by decluttering your space. 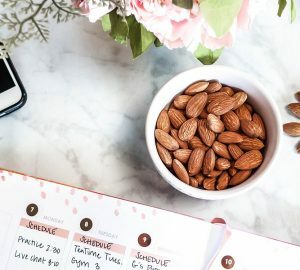 Whether it’s your living room, bedroom, desk or another space you spend a lot of time in, declutter to get rid of anything around you that doesn’t need to be there. Put stuff away and out of sight or make the commitment to permanently get rid of things. 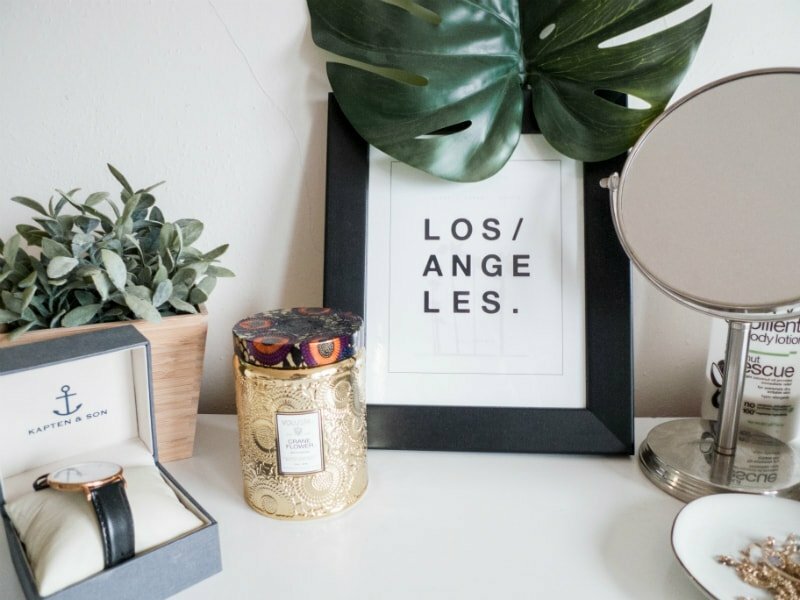 You can always check out my guide to decluttering your home for some tips! Spend a little time getting in tune with what makes you feel at home. Do you have any fond memories of places that felt calm when you were growing up? I remember always feeling comfortable at my grandparents house when I’d visit with my sister. Think about places that have made you feel comfortable in the past and try to infuse some of that into your current space. You could even put up something as simple as a photograph of the people who make you feel comfortable so you can remember them every time you look at it. 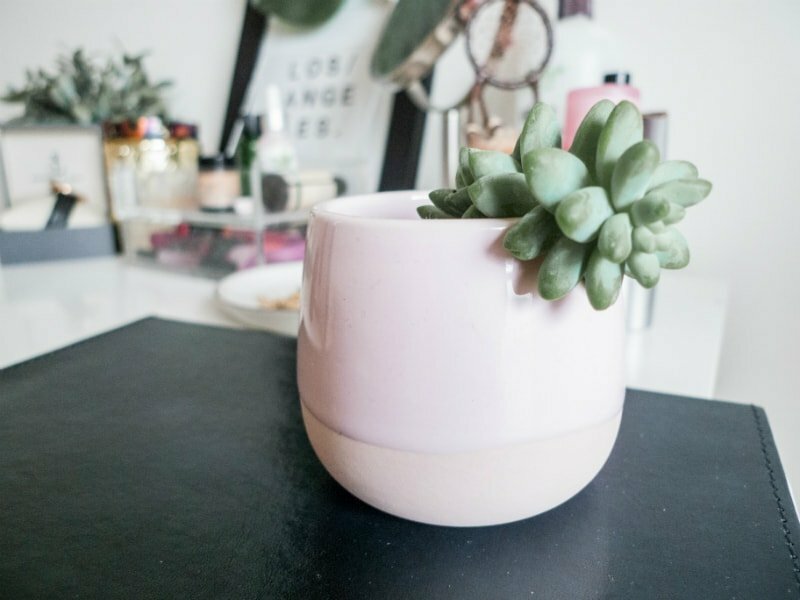 Are you a plant freak like I am? Although I always struggle to keep them alive, I think plants add such a calming feel to a room. Aloe, snake plant (also called mother-in-law’s tongue), and jade plant are all relatively easy to take care of, and you can usually find them at IKEA for a reasonable price. Better yet, find some realistic fake plants and let them take care of themselves. Scent can have a powerful effect on the way you feel about a place. I always have a selection of different candles in my room because certain smells are comforting to me, and I’ve re-purchased this Balsam & Cedar candle many times because I love the scent so much. The same goes for essential oils. I often put a few drops of lavender essential oil in my diffuser before bed to help me unwind. 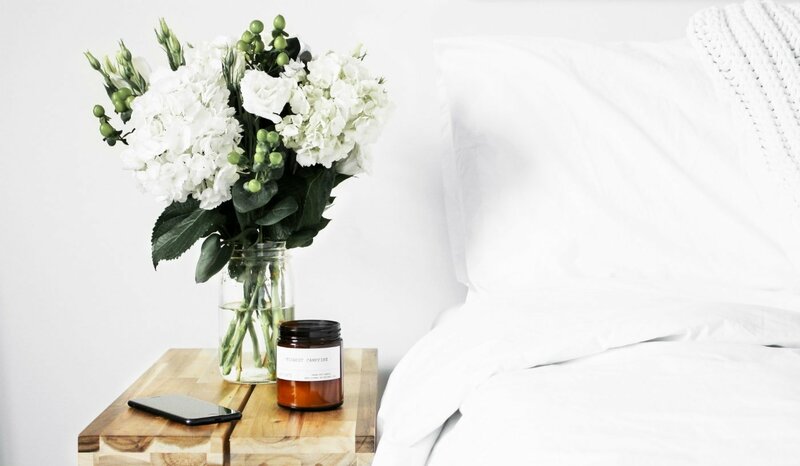 Adding some calming scents to your space is a great idea when you need to relax. Check out my essential oil recipe post here for some inspiration. Color can make a huge difference in the mood of your space. I personally like a white, minimalistic look with pops of green (from the plants!) and pink because it makes me feel calmer. You might find that colors like blue or gray calm you down. On the other hand, maybe you prefer bright colors because they put you in a good mood. Think about the types of colors that make you feel good and try adding more of them them into your space. Music is one of the most comforting things out there. If you agree, find a great playlist that you can put on when you get home and use that as a tool to unwind. Another thing you might not recognize as comforting is the sound of other people (as long as they’re not people you don’t like. Ha!). I’ll admit that I feel comforted by the sound of people talking, so often I’ll turn on a podcast or YouTube video and leave it playing in the background if I’m home alone. If you’ve been following me for any amount of time, you’ll know I’m a massive fan of tea. Not only do I drink it all the time because it tastes good, I also drink it because the act of drinking something warm is comforting to me (without the added sugar of other drinks). There’s something so peaceful about the process of brewing a cup of tea and sipping on it slowly, whether I’m at my desk, in bed, or on the go. 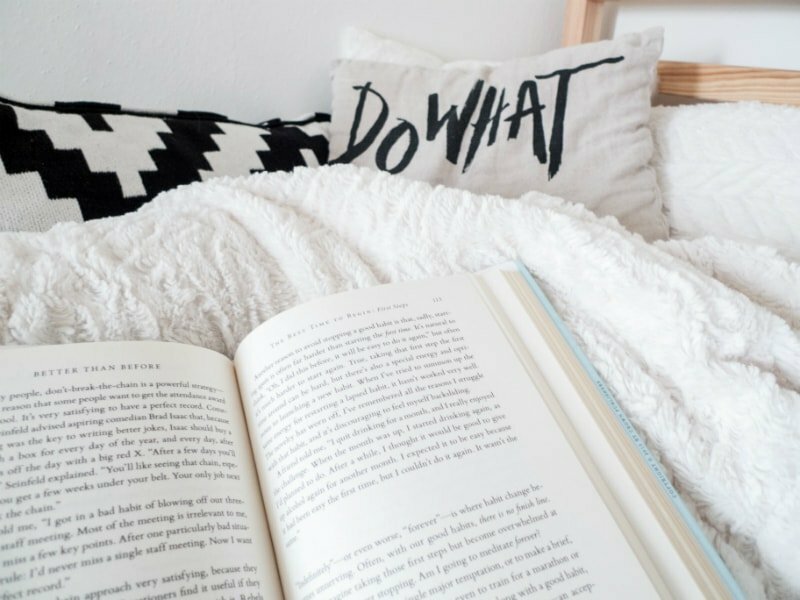 Think about ways that you can add warmth to your space, whether it’s drinking tea or hot chocolate, or maybe even something as simple as changing into warm and cozy socks at the end of the day. Use these ideas as encouragement to get in tune with what makes you feel comfortable. That way, you can make yourself feel at ease whenever you get stressed out or wound up. 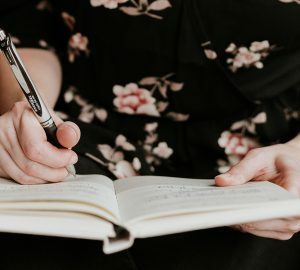 The next time you’re away from home or feeling particularly unsettled, remember that there are plenty of ways to create a peaceful space around you! Love this post. I’m also a homebody. I LOVE being home in my space, and lately I’ve been finding myself wanting to make it cozier than ever, especially the bedroom. Twinkly lights, light-scented candles and fluffy pillows definitely help! Thanks for this post! I bought myself some twinkly lights the other day and they didn’t work! So disappointing lol. They make a space look so cozy! Hi Catherine. You have some good ideas for making a relaxing space. In fact it was cozy and relaxing just reading this post! Hope you have a lovely day! I love coming home because it feels like a comfortable, safe and inviting environment. When I come home, I usually just stay in the silence – after a long day, I welcome the quiet. I meditate or do breath work as I slowly unpack my gym bag and lunch bag.. 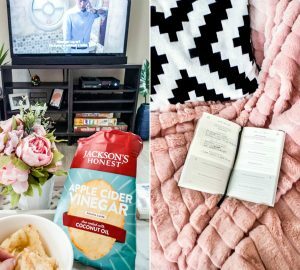 I also love having a cozy throw in my office and on the couch! Love the sound of that quiet evening at home, Seppy! I love this! I wrote a similar piece on my blog. It is so important to have a space that feels safe and comforting. I have set up a space under my lofted bed that’s become my little sanctuary. I have nice lighting and some peaceful music playing. I feel comforted and it’s easy to focus. Ooh I’d love to grow fresh herbs too! I relate to all these tips so much! I’m a home body too and I’ve only recently accepted that that’s totally okay. Essential oils and candles have become one of my favorite ways to create a relaxing space, along with using my himalayan salt lamp. Something about the soft glow is really calming for me. I also like the sound of people talking in the background so if I’m home alone I need to have the TV or music on because I don’t like when it’s completely quiet. Another plant freak here! Lol, I love all these tips! My space needs to be clutter-free always, or else I feel stressed as soon as I walk in the room. I also need sunlight! When there’s no natural light coming into the room, it makes me want to crawl into a ball. Thanks for the tips! I am so inspired now! My intention for 2018 is be calm… which I am finding challenging as a homeschool mom of 4 kiddos. I think I can implement some of these tips today in my bedroom. 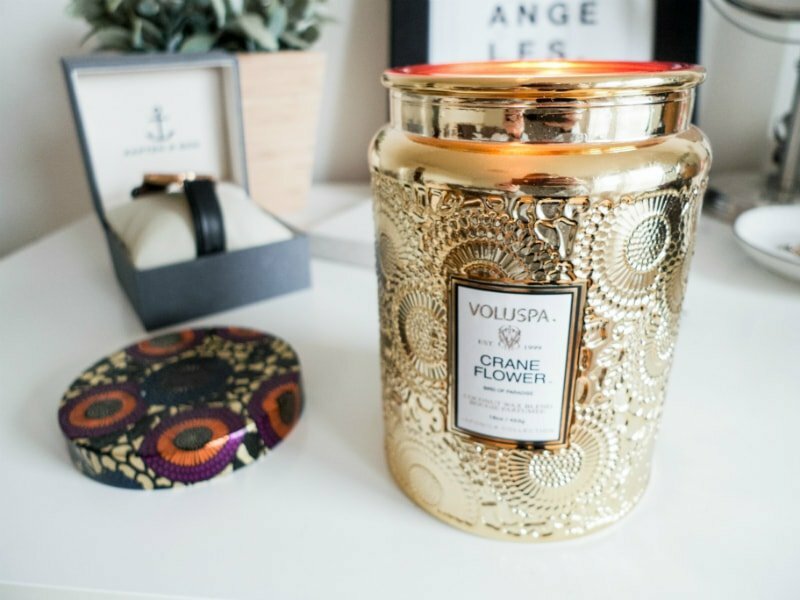 Good-bye clutter… hello new candle?